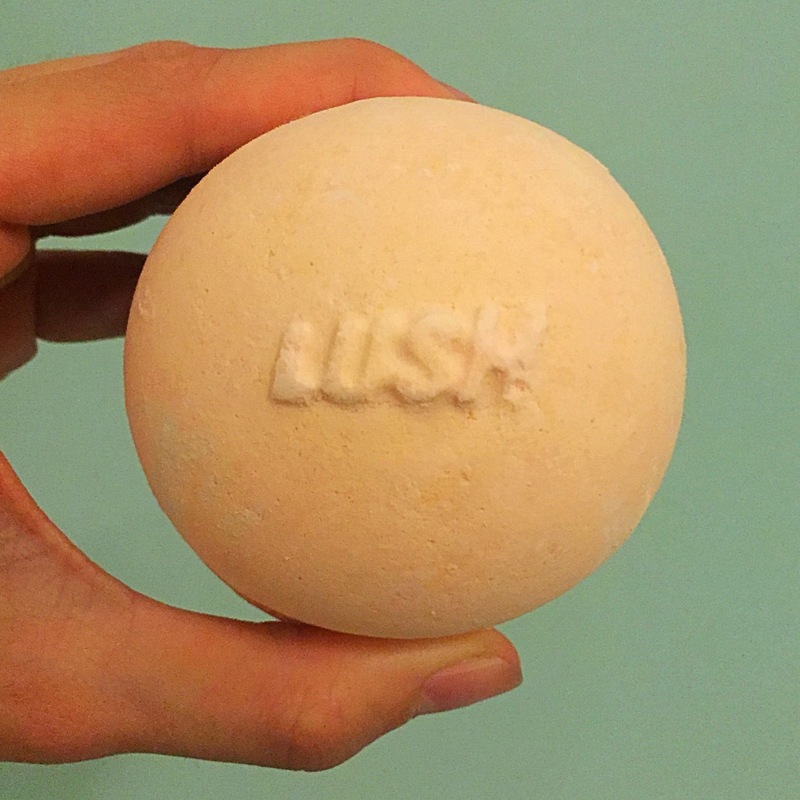 When I first heard that the Ching Ling Soo bath bomb would be making an appearance in the Lush Kitchen I got very excited. I couldn’t help but notice the name of this bath bomb was very similar to a famous magician called Chung Ling Soo. 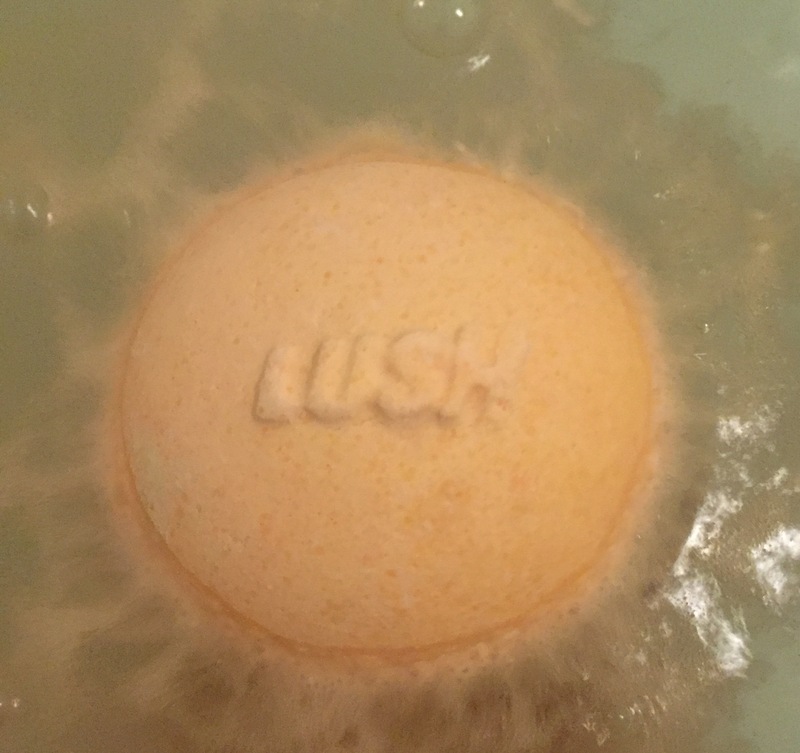 I therefore decided to do a little bit of research on this bath bomb to find out if there was a connection between the two or if it was just by chance that the names were so similar. When searching around I found that there was very little information on this mysterious bath bomb. However I did come across a description that lush had produced for this bath bomb from 1999 which I presume is when it was first released. 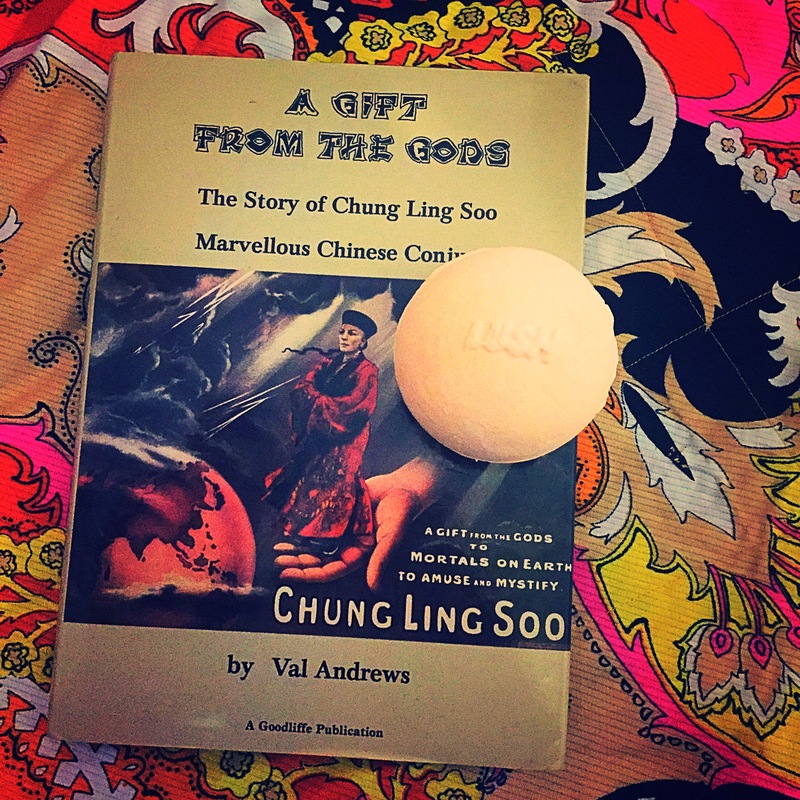 From reading their description I was over the moon to find that indeed this bath bomb was originally inspired by the great Chung Ling Soo. I also found out that Ching Ling Soo means good luck And Chung Ling Soo means double good luck . As a magicians assistant I’m going be the full on magic geek I am and tell you all about Chung Ling Soo and his lack of Luck (it is one of the greatest stories in magic). However if you want to skip the magic my review on this bath bomb is just underneath. The story of Chung Ling Soo is one full of mystery and misfortune. Chung Ling Soo was the stage name of the American magician William Ellsworth Robinson, who is most famously known for his death after his bullet catch trick that went awfully wrong. 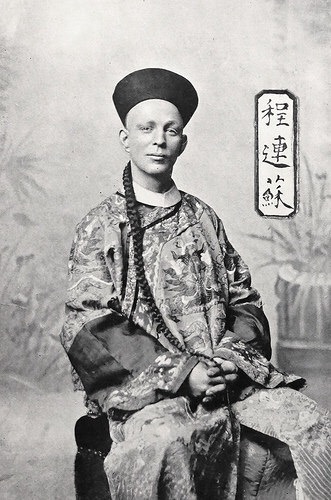 William Ellsworth Robinson created his new identity of Chung Ling Soo when he heard that an agent was looking for a Chinese magician to perform at the Folies Bergere in Paris. Robinson maintained his role as a Chinese man scrupulously. He never spoke onstage, claiming that he spoke no English and alway used a translator when speaking to journalists (now that is dedication). Chung Ling Soo act became so good that he soon became the highest paid performer on the vaudeville circuit (pretty impressive right). His best known and most famous trick was his bullet catch.In this trick his assistants would take two guns on to the stage. Members of the audience would be invited on stage to mark a bullet, which would then be loaded into one of the guns. The guns would then be fired at Chung Ling Soo and he would seem to catch the bullet in mid air and drop it onto a plate he held in front of him. Now this is where his name didn’t live up to its translation of double good luck. On March 23, 1918, Chung Ling Soo was performing at the Wood Green Empire in London. He act had gone as planned until he reached the bullet catch trick! As the gun was fired (the same as ever night before) the gun malfunction and fired a live bullet into his lung. He fell to the ground and in perfect English said “oh my god some things happened, lower the curtain” that was the first time his audience had ever heard him speak English and he died the following morning! I thought you would all like that story which is full of mystery. To this day no one knows how or why the trick when wrong and there are so many theory’s as to what the reasons were but maybe just maybe it was all down to luck (or his lack of it).I love how lush like to play with words when naming their products and use real life story’s to influence the names it makes all there products that extra bit special. The Ching Ling Soo bath bomb is quite an ordinary looking bath bomb featuring a simple pale orange colour and no fancy design. The bath bomb is also the size of your average bath bomb. I was totally blown away by the scent of this bath bomb. 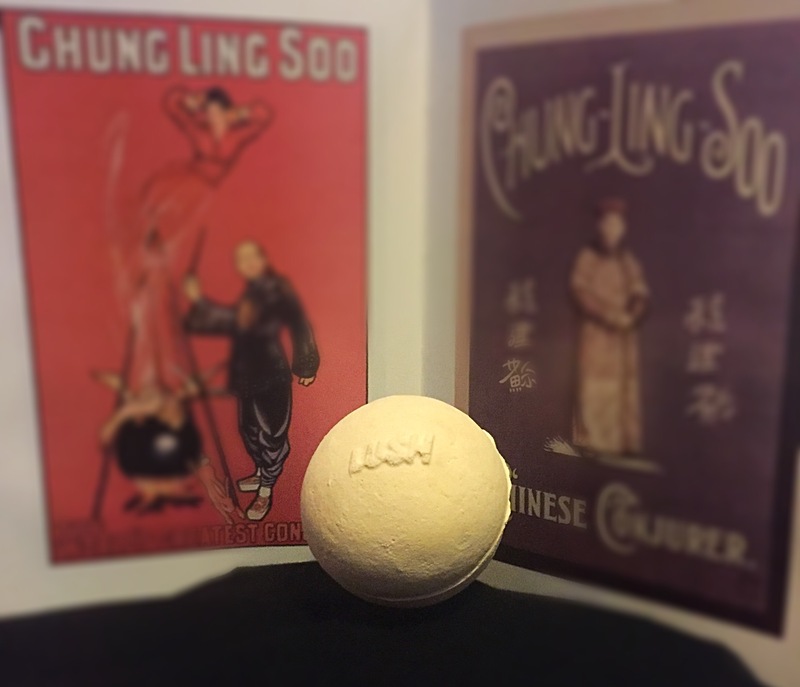 Featuring cardamom oil, tangerine oil and litsea cubeba absolute the Ching Ling Soo bath bomb has a zesty yet sweet scent. I really can’t describe just have wonderful this scent is. But to give you a little bit of an idea Its smells like walking into a sweet shop. The scent isn’t a sickly sweet scent it is more of a sherbet scent with a good kick of fruity zesty goodness. I personally reminds me of refresher bar sweets. Once popped in the water this bath bomb was a very quick fizzer. This bath bomb didn’t put on much of a show and I also found that it didn’t float for very long and was soon bobbing around the bottom of my bath. As it did dissolve it turn the water a very murky pale orange colour but the scent of this product made up for the lack of performance and colour. I found the scent really took over once in the water. Its sweet sherbet scent filled the whole bathroom creating a very uplifting bathing experience. 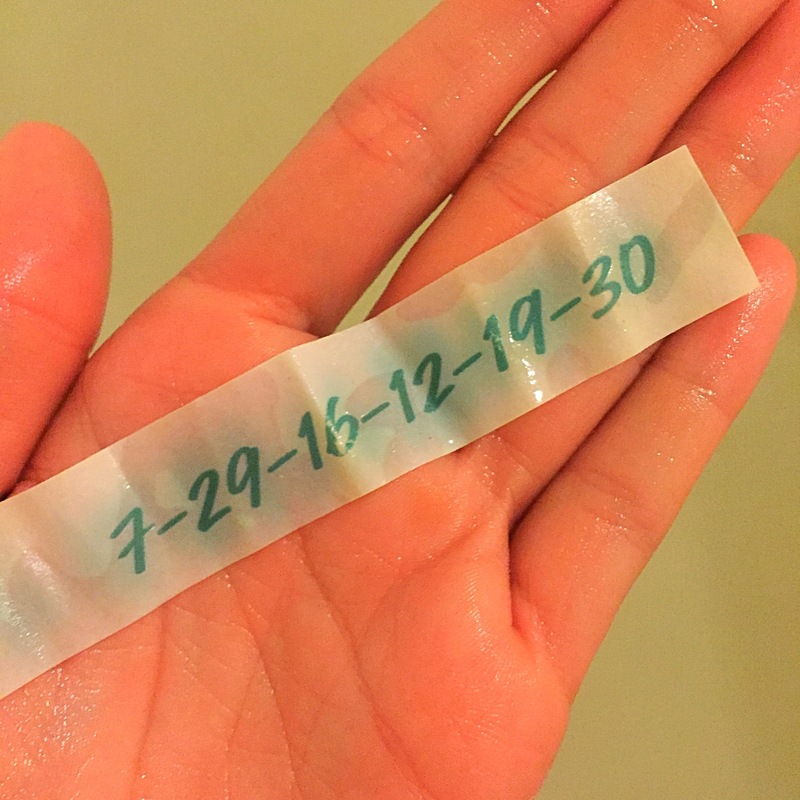 Once the bath bomb had fully dissolved a little piece of paper floated to the top of the water. Just like a fortune cookie this little piece of paper contained 6 number which are suppose to be lucky numbers. I known I’m defiantly going to keep these numbers safe and try them out on the lottery, you never know they might be just that extra little bit lucky. Overall I am mega impressed with the Ching Ling Soo bath bomb, the scent it’s beyond words and I know next time these are in the kitchen I will be adding a few more to my collection.